Art Object, practical home accessory or special gift? Goods has it all. 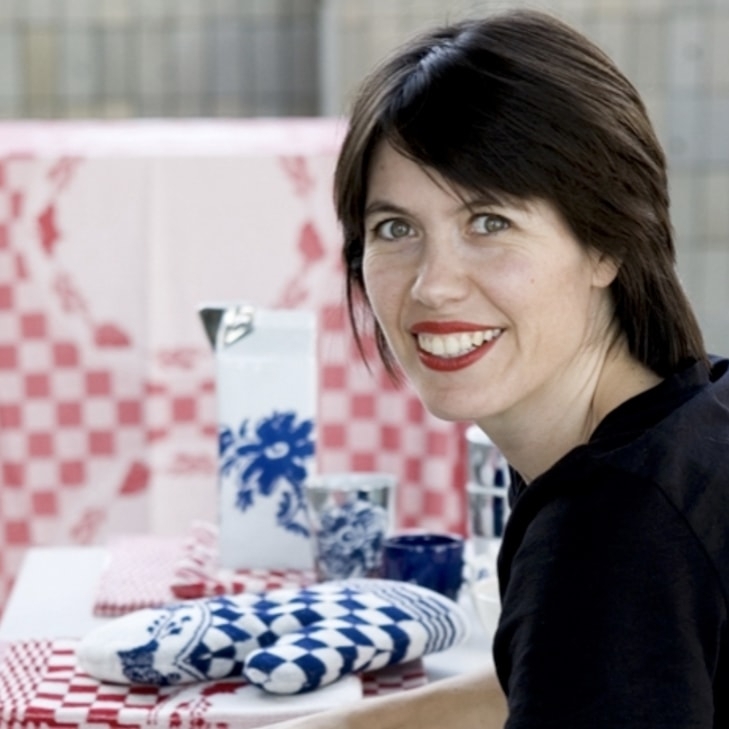 Their Dutch designs - famous or novel - can be found in homes as well as museums! Blaker is a candle holder designed by Roderick Vos. The name “Blaker” refers to a candle holder from days gone by: a candlestick for one candle with a handle on it, used to find tour way at home in the dark of the night. The Blaker candle holder is made in the Netherlands from cast aluminum and finished with a beautiful black powder coating. Special is that Blaker can be used in two ways: one side is for a 21 mm candle, the other side for a tealight or a thicker candle. 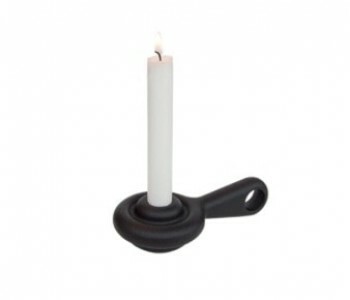 Blaker, a beautiful and practical candle holder. 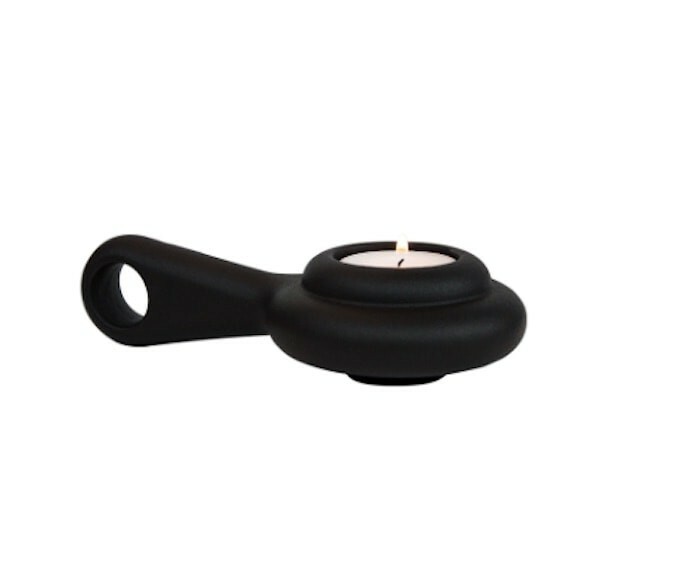 Blaker is a candle holder designed by well known Dutch designer Roderick Vos. The name “Blaker” refers to a candle holder from days gone by: a candlestick for one candle with a handle on it, used to find tour way at home in the dark of the night before electric lighting was commonplace. The Blaker candle holder is made in the Netherlands from cast alumminium and finished with a beautiful black powder coating. Special is that Blaker can be used in two ways: one side is for a 21 mm candle, the other side has a wider opening for a tealight or a thicker candle. A ‘blaker”, or a sconce is a low candle holder with a flat foot, usually provided with a handle in the form of an eye or a shank. Usually a blaker also has a raised edge around, to avoid melted candle wax from dripping off. Before electricity became common in buildings, sconces were commonly used as simple lamp or flashlight. Sconces were usually made of brass or copper, also of tin and in some cases also of ceramics. Today they are still used but only as decoration. 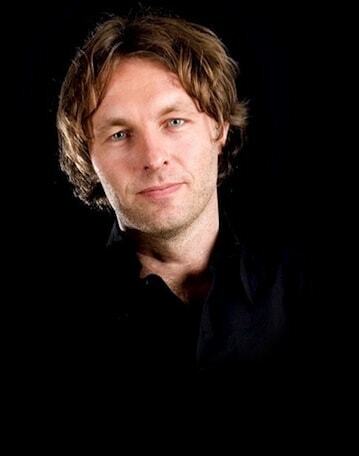 Roderick Vos (Groningen, 1965) studied Industrial Design at the Design Academy in Eindhoven. In 1987 he moves to Japan for 8 months, where he finds an excellent tutor in GK Industrial Associates/Tokyo, founded by Kenji Ekuan. Partly Asian himself, this particular period gave evidently a larger impact for his personal interest in Asian Culture and it’s products. 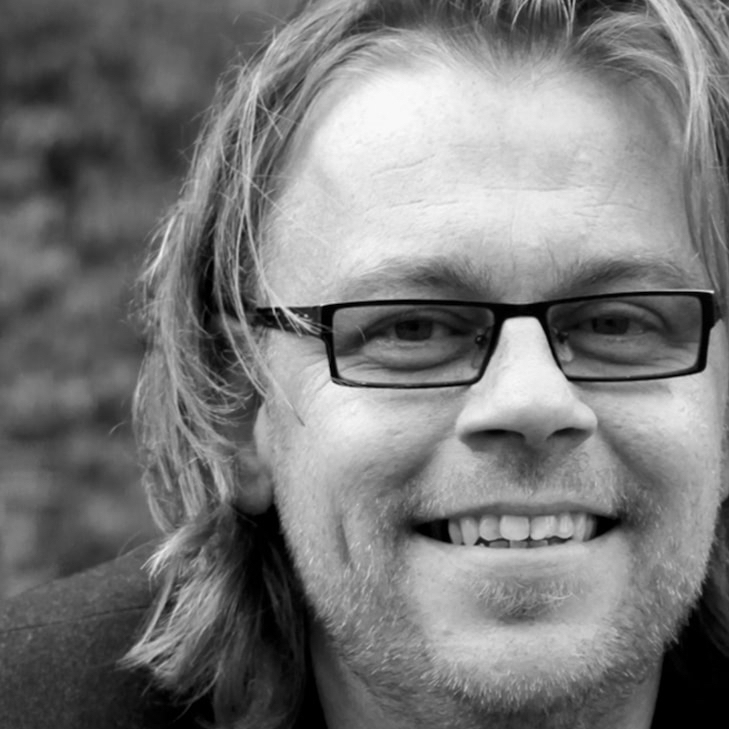 After his graduation in 1990 he starts together with his partner Claire Vos, an industrial designer too, his design office ‘Studio Roderick Vos’ , based in s'Hertogenbosch, the Netherlands.